After all of the rumors, the suspected other suitor for Manny is not who you might expect. 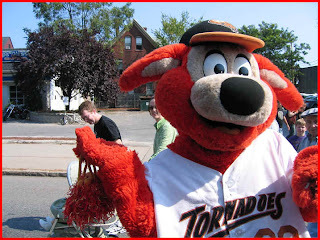 The Worchester Tornadoes of the Can Am League have made a contract offer to Manny. 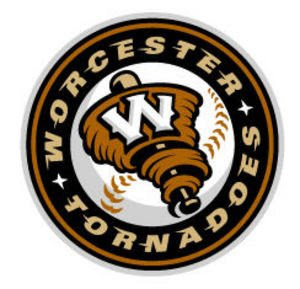 The Worcester Tornadoes Professional Baseball Team has offered a contract to free agent outfielder Manny Ramirez for two years worth $24,000. The deal would pay the 12-time Major League Baseball All-Star approximately $3,000 during each month of the Can-Am Baseball Season. Unlike Major League Baseball, the Can-Am League operates with a salary cap, and the deal for Ramirez would be on par with other veterans in the league. I guess all of the vitriol aimed at Boras for being a suspected liar has been unfair. He really is talking to another team. Tornadoes personnel express some optimism. “I feel Manny would really enjoy playing in Worcester and hitting in our ballpark. Although I would be concerned about the cars traveling on I-290 during his at bats, it’s a risk worth taking,” said General Manager, Jorg Bassiacos. Director of Player Personnel Brad Michals added, "Manny certainly has the stats to be amongst the leaders of the league next season. Although issues regarding health have surrounded him in the past, I think he will find that the shorter schedule will boost his performance to a new level and serve as the ultimate showcase for his natural skill."